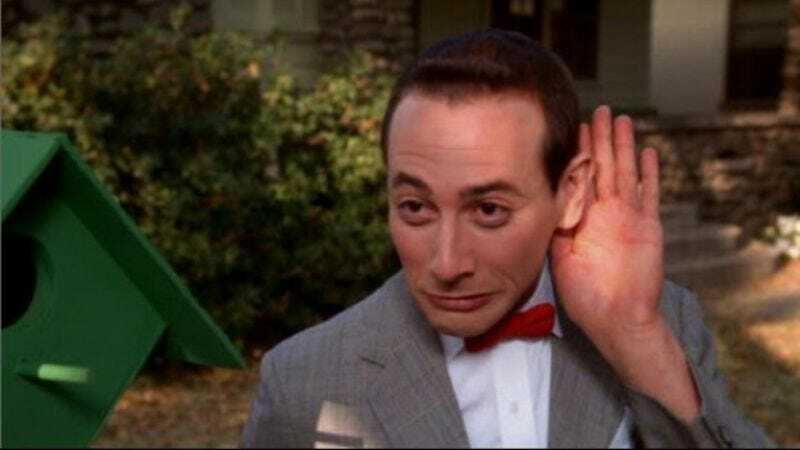 Apparently, there are some secret words that when uttered in a certain order not only make Pee-Wee Herman scream but also make him run to his lawyers: Pee-Wee, Over, Louisville, and Day. Will Russell, one of the guys behind the insanely popular Lebowski Fest that has celebrated all things Big Lebowski every year since 2002, wanted to bestow the same honor on Paul Reubens and Pee-Wee Herman by creating a honorary day for the character in Louisville, Kentucky. Now it appears that the star of the Pee-Wee's Playhouse TV show turned Broadway hit turned down the offer by sending Russell a cease and desist letter through his attorney, according to The Louisville Courier-Journal.